Book seven was a traditional-style fantasy read. Karigan G’ladheon always seemed to be getting into a fight, and today was no exception. But as she trudged through the forest, using her long walk home to contemplate her depressing future – and the expulsion it was bound to hold – a horse burst through the woodland and charged straight for her. The rider was slumped over his mount’s neck with two arrows embedded in his back. Wherever his horse was taking him, he would be dead before they got there. I wanted to read some classic fantasy this year, and several of my friends said they enjoyed this one. This book is not exactly young adult, but the main protagonist is a teenage girl. She reluctantly takes over the mission of a Green Rider (messenger to the king), and the first half of the book follows a fairly traditional fantasy quest progression. The second half of the book is basically about overcoming the bad guy’s plans to take over the kingdom. This is a pretty clean read, with only the usual amount of fantasy violence–sword fights, magical fights, and fighting monsters. This was a great read. Karigan is the typical reluctant heroine who is dragged into a mission that she doesn’t really want to go on. The plot progresses at a good pace, although as is typical in quest fantasies, there are digressions to meet mentors and overcome difficulties, not to mention avoiding the bad guys as they chase her. All the incidents that happen to Karigan, however, do further the plot or foreshadow events that happen later. The cast of characters is interesting, from the slightly bizarre old lady mentors to the evil Grey One, to the king and his brother who fight for the throne. I like the thread relating to the game of Intrigue. It’s a made-up board game, a little like chess, and it features at several times in the book, and has its own little arc. The concept of the Green Riders is interesting, too: effectively, an elite band of trained messengers who cannot resist the call of the open road and risk their lives to deliver messages for king and country. I also enjoyed the magic system in this book. At times, it’s only hinted at, but the magic of the Grey One contrasts with the magic of the Green Riders, as Karigan begins to come to terms with her destiny. I couldn’t really put my finger on one particular bad thing in this book, however, it was a bit predictable. Nothing surprised me. The mentors turn out to be lovely old ladies, when I was wondering at the back of my mind if they had ulterior motives. Karigan faces detours and set backs, but the plot progressses as you would expect: she beats the monsters, and fights the bad guys etc. 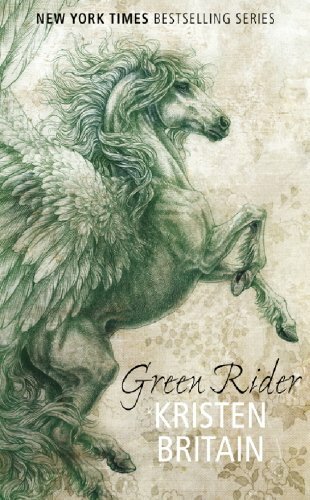 She appears to be set against being a Green Rider but you know blatantly that she is going to become one (although it didn’t happen at the end of this book), but it was a case of she protests too much. Oh, and I thought the implied attraction between her and the king was a tad icky, given her young age. But that plot line didn’t really go anywhere, thankfully. I’d recommend this as a good solid enjoyable fantasy read, but don’t expect any major surprises! I’m glad you enjoyed it! I had the same problem with the predictability… I think that’s why I never managed to get into the sequel. 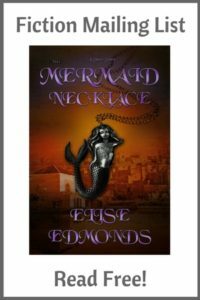 I loved the characters, but I need a little mystery to keep me engaged. Yes, I don’t think I’ll go on to read any of the sequels. I thought the first book was okay and did read a couple sequels. I found that they declined with each book though and never ended up finishing the series. I’d say stopping after book one would be the best way to go.